Which paper is going to be the best to use (1 or 2 labels)? When will the paper arrive? Which software does the paper work with? How do I get support for the Software? My license has expired, how do I get a new one? How do I get the software to use with the paper? Who writes your software to use with the paper? Does the software work on Mac? Why is it best to use your approach of downloading orders from Ebay etc.? How do I get the best out of my integrated label invoice paper? Will the paper or software work with our existing Ecommerce shop or website? Do you put any of your own advertising on the paper? 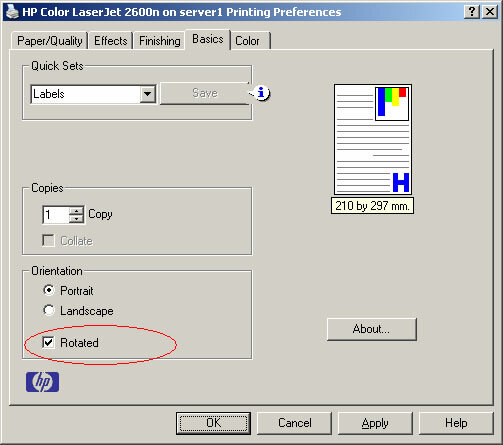 Are there any special printer settings needed for the paper if I am using a laser printer? What is the best way to put integrated label invoice paper into my printer? Will the labels come off in my laser printer when the printer gets very hot? Can I print onto the back of the paper (including the label backing)? What is the perforation for on the double label paper? I have a new version of my software do I need to install the integrated label software again? What are integrated labels also known as? I use Mozilla (Firefox) and it doesn't download the orders file to the right place. I get a message 'Invalid Merge Field' when using the Invoicing software, what is wrong? How can I change how my Magento addresses are printed (e.g. put postcode on a separate line)? Is the free software really free? As a general rule for retail customers single label paper is ideal, but for business to business (b2b) 2 labels may be more appropriate (as the invoice is normally sent to a different person and the goods to another). As long as you place your order before 1pm it should be sent out the same day using Fastway. The software installation either installs the required templates into your chosen product (e.g. Actinic, Sage, Quickbooks or Invoice2go) or provides an order processing module to allow you to quickly download and print invoices (e.g. Ebay). Templates are also provided for Microsoft Word and HTML applications to use as a template for other software systems or packages. If you use 1StopOrders, BluePark, LiquidShop the templates are built into the software. If you use Magento, osCommerce, Interspire, Actinic, OpenCart, CS-Cart, PrestaShop, Invoice2go, Sage or Quickbooks we provide additional invoices and packing slips that need to be loaded onto your website or into your software installation. You will print invoices and packing slips in the same way as you currently do. You will need to buy a box of paper as you will need a license key. If you use ChannelAdvisor or AManPro please contact us for details on how to set up the software. To receive access to the software, to use with the paper, you will need to buy a box of paper. You will then be sent a login and license key which will give you a year's access to the software. Each time you buy any paper you will automatically be sent a new license key. We provide support for our software using our online support system. Once you have sent in a support request you are send a ticket. One of support team will review and respond to your request as soon as possible. To enter a support request visit our Software Support page. Click here. Visit our Licensing Page for more information. Click here. Shortly after you have placed an order for paper you are sent a login and password. You can then login to the website and download any of the software. Your login will remain active for 12 months from your last purchase date. If you have problems logging in please contact us. We have our own Software Development Department who have either worked with or worked for the companies that we provide integrated label paper solutions for. We are constantly working on new and improved software solutions to use our integrated label paper. For osCommerce, Magento, Interspire, OpenCart, CS-Cart, PrestaShop, Microsoft Word and HTML we can supply the website files if required (these do not require a PC). 1 You can use the same paper for all selling platforms, from MS Word, Ebay to various Accounting products and ecommerce shops. 2 With some of the templates provided you can make the invoice look exactly how you want it, adding logos as required and other useful information. 3 It is faster to print out Ebay and eBid invoices and labels. When you have a large number of orders to print (for example, from 100+) the overall time spent will be reduced. The packing process is easier and less error prone. You can download a free trial of the software to see how you get on with it. (http://www.integratedlabels.co.uk/download/IL_Invoicing.exe). Yes. After extensive research, in 2002 we defined our paper specification. The label size and location has not changed since that time. The easiest way is to store the paper (or a few boxes) next to the printer where it is going to be used for at at least a few hours before using. Always put the lid on the box when you have taken the paper out. Even if your software isn't specifically mentioned on our website (or you have a bespoke website) it is highly likely that it can be made to work. Over the past 11 years we have worked with several web design and software companies to incorporate the necessary changes. No we don't. We want you to advertise your business and provide a more professional communication with your customers. Ideally the printer should pickup the paper up paper end 1st (on the opposite end to the label). 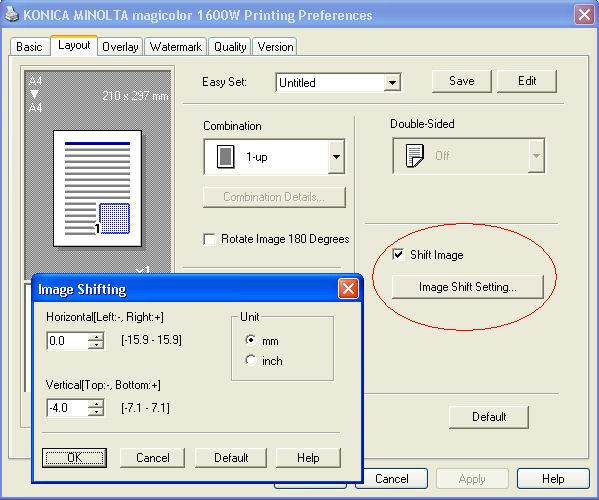 You may need to change in printing preferences to rotate by 180 degrees. No. The label adhesive that we use is not affected by heat. 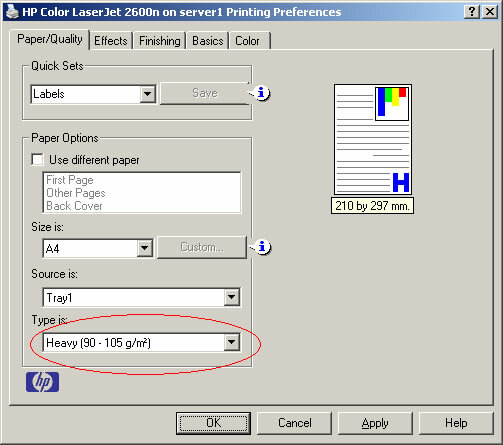 Yes, as long as you use a good quality (original manufacturer) toner and set the paper type to heavy (95 gsm or more) in the printer settings. Remove the bottom section of the A4 sheet once both labels have been removed as no useful information is printed onto the remaining invoice/packing list area. Use 1 of the labels to attach to the package and remove then bottom section (with the second label) to put in with the goods. The second label has a return address, account details or special offer on them. If you have updated your software, for example, Actinic, SellerDeck, Sage or Quickbooks, you will need to re-install the integrated label templates. To do this login to the website, go to the downloads page and click on the appropriate software download link. You can then install the new templates. This is because the file selected to create the invoices from (when doing a merge in Word) is not the correct file. The file to specify for the recipients is the file in section 2, shown below. This is the same approach also used for eBid. If you have previously installed the Actinic Integrated Label software and it has been working correctly and after updating Actinic it produces an error and/or stops printing correctly, you should install the Integrated Label software again. This happens because when you upgrade or update Actinic it overwrites any report (invoice) changes previously made. Yes. The software is designed and supplied to work with our paper. When you purchase paper from us you are entitled to use the supplied software for 12 months from the purchase date. You are issued with a new license every time you purchase paper from us.